Hi guys what’s up! 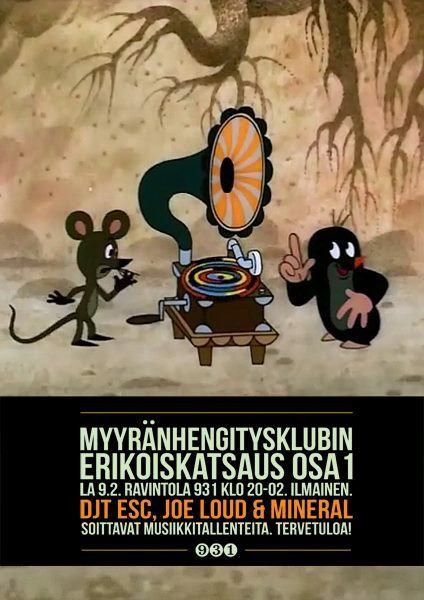 Had great time playing at myyränhengitys klubi at Tampere earlier… Really looking forward to the next gigs. Gonna let you know more soon. This update was done by a new wordpress mobile app so hope it works out neatly. Yo guys… The new year has started and it’s looking great. I have a few gigs in the near future and some of my tracks have been signed for different labels. Not bad! The next gig will be Myyränhengitysklubi 9.2.2013. Really looking forward to that. Some old school classics and especially Good Looking -style session. Join if you can!